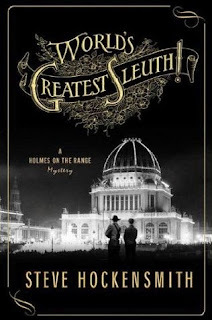 The Crossover Universe: Crossover Cover: World's Greatest Sleuth! Big Red and Old Red Amlingmeyer enter a detective contest at the 1893 Chicago World’s Fair. Also in attendance are William Pinkerton, Old King Brady, Young King Brady, and Eugene Valmont. A Johan Sigerson congratulates Old Red on winning the contest. William Pinkerton is a historical figure. Old King Brady and Young King Brady are dime novel characters. In this novel, Young King Brady is an actor hired to impersonate Old King Brady since Old King is not as handsome as the pictures in the dime novels make out. Whether this is actually true has yet to be determined. Eugene Valmont was created by Robert Barr. Nick Carter is mentioned as being fictional in an exposé. This demonstrates that even during their own careers, many of the great detectives of the CU were considered fictional. A note by Big Red confirming Sherlock Holmes’ existence appears at the beginning of the novel, so it’s ironic that he’s misled into thinking Carter is fictional. Johan Sigerson is implicitly the then-believed dead Sherlock Holmes. I have to wonder if the expose is a trick by Carter to confuse his enemies or just avoid publicity. Having read a few of the Nick Carter stories, I can say they weren't that good, but I still kind of want him to be real in the CU. 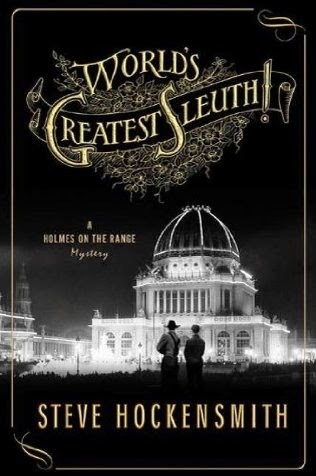 It strikes me that Sherlock Holmes was in Chicago at the same time as real life serial killer H. H. Holmes. I wonder if there was some kind of unknown battle between the two. I really hope Hockensmith writes more novels about the two. When I first read the book, I expected it to be about the brothers Armlingmeyer dealing with H. H. Holmes's murders. I enjoyed it nonetheless. Mind you this is arguably more realistic since just because they happen to be in the same area doesn't mean they would meet. H. H. Holmes is mentioned in A Walking Tour of the Shambles by Neil Gaiman and Gene Wolfe. This book is an imaginary tour guide to a fictional, sinister neighbor hood of Chicago. I had just reread it last night and it's probably the reason I thought of H. H. Holmes. I mentioned on the old Yahoo Wold Newton site that The Terribly Strange Bed from the Wilkie Collins story of the same name appears in it. Rereading it I noticed references to Alice in Wonderland, Peter Pan, and maybe Gone With the Wind. I first heard of him because Anthony Boucher used to review mystery novels under his name.